NAIROBI, Kenya, Mar 7 2016 (IPS) - Jonathan Tipapa is a nine year-old boy whose daily journey to and from school exposes him to many dangers that have seen him come close to dropping out of school — like many of his friends who can be seen running after cows even on school days. He attends Enkutoto primary school in the expansive Narok South Constituency in the Rift Valley region, approximately 70 miles from the capital Nairobi. “I leave the house when it is still dark and walk to school by myself, our nearest neighbor lives very far from our house so I have no one to walk with. I fear the darkness, sometimes I fear that I might step on a snake when I walk through the bushes,” Tipapa explained to IPS, adding that he never leaves the house without his stick. His village has often suffered from human-wild life conflict. But his small stick is no match for animals like elephants that have been known to roam through his village or the flash floods that sweep across the region without warning. This is the story of many Maasai children in pursuit of education. The distance from their homes to school is too much for the young ones. Tipapa’s friends do not go to school as they spend their day in the grazing fields. Girls help with house chores as others watch over children they delivered when they were children themselves! This is not for lack of school fees as primary school education is free and compulsory in this East African nation since 2003. Millions of children from poor backgrounds have benefitted from the free education scheme. However, this is, however, not the case for children growing up in marginalised pastoral communities. But this narrative is slowly changing. Bernard O Sankale, the head teacher of Elangata Enterit boarding primary school in Narok South, told IPS that the proliferation of public boarding primary schools in Narok South is the boost that the education sector has needed to make inroads into the pastoral community. “A boarding facility is the solution to most of the problems that we face. Distance has always been the main problem. 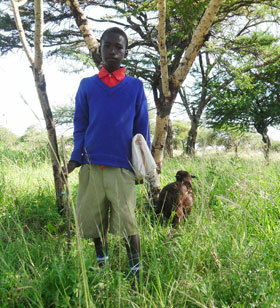 Many become too tired of walking many kilometers to and from school and they end up dropping out,” he says. There are 477 pupils in this school with at least 160 of them benefiting from the boarding facility. Most schools only board pupils who are at least 10 years old because they can take care of themselves and can better cope with being away from family. Parents are only required to pay a subsidised fee of US $45 dollars per year for their child to enjoy the boarding facility. As a result, the school will have its highest number of candidates yet expected to sit for the Kenya Certificate of Primary Education (KCPE) later this year. “We have 60 candidates and 22 of them are girls, this is twice the number of girls who sat for the national examination last year,” he elaborated. School records show that the number of girls sitting for KCPE — a national exam that all students must take to be able to join secondary schools — has been on the rise. The school has gone from having no female student sitting for the exam in 2007 to 22 girls this year. “But it is not just about having a boarding facility, it is the community embracing this facility that is making all the difference,” Sankale explained. “When parents became willing to keep their children in school, our pupils began to sleep in classrooms and the head teacher’s office for lack of dormitories in 2009. We could accommodate very few of them at the time,” he added. 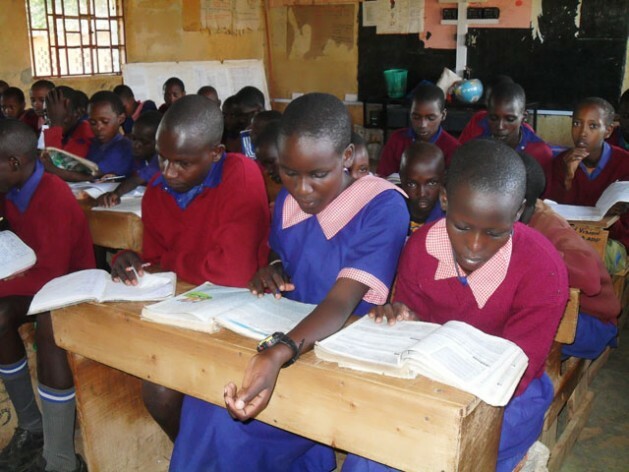 According to Christine Orono, board chair at the World Vision Kenya that supports vulnerable children to be able to access quality education, public boarding primary schools are serving as rescue centers for girls. “Girls are protected from harmful cultural practices such as genital mutilation, early marriages and early pregnancies,” she says. Sankale says that it is very easy to marry off a girl who does not attend school. Boys are also kept away from the harmful culture of moranism where they are isolated and kept in the bush and trained to be warriors. During this period, they engage in various violent acts such as cattle raids that always leave many wounded and others dead in retaliatory attacks. “Boarding schools are also performing better compared to day schools. Pupils who walk long distances and also have to help with house chores in the evening cannot perform to their level best,” explains Peter Saitoti, the head teacher at Enkutoto primary school. Nine kilometers away is Elangata Enterit boarding primary school. In 2014, this school made it to number one in its division out of 23 schools and number one in its district out of 189 schools. “This is a good development but our concern is that the number of boys is dropping while more girls stay in school.” As more and more primary schools invest in dormitories, there is a new optimism that the Maasai child will overcome the obstacles to enter the classroom.